Being a college student is fun while having some kind of online jobs that can bring you some decent amount of money for the hours you spend can be more interesting. This will not just help you with your college fees but can also help you learn more about how to make money online. The Internet is already filled up with vague information, which makes it more difficult for us to decide which one is correct and which one is wrong. A simple search on Google will result in hundreds of lucrative online jobs information that you, as a college student, can apply for. You can easily make money whenever you are free from college work, between classes, during weekends and holidays. This will certainly help you pay your living costs, tuitions, and books. 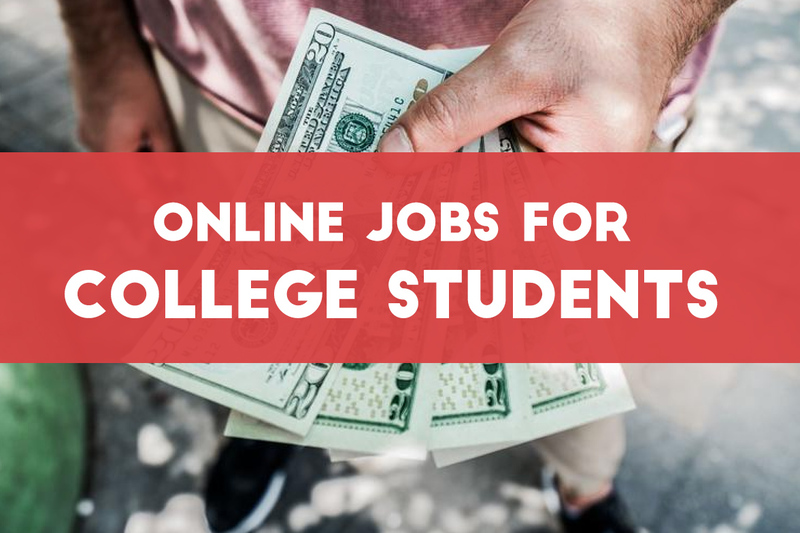 Here are the top 17 proven online jobs for students that you can instantly apply today and might make some good money. If you can write well and have good English, you can start your own freelance writing services from your own college desk. Believe it or not, quality content is one of the most demanded things on the Internet. It’s a plus point if you have an expertise in a particular subject and even more if you have the ability to do a deep research on anything and write it down as words. Photography has become one of the most common hobbies. Most of us love photography and we do enjoy taking pictures of everything around us. Especially for those people who have a passion for photography and play well with the camera, there is some easy money to be made. Here is the list of sites where you can register and sell your photos. 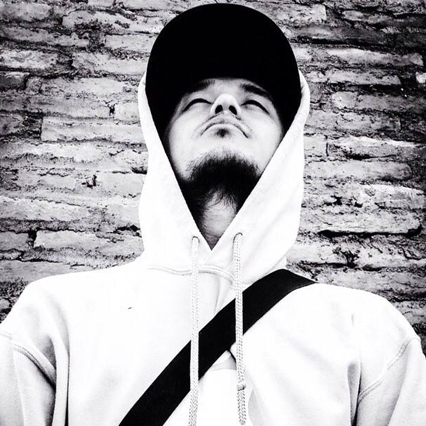 People who are interested in your photos will purchase your photos. This is perhaps the easiest way you can earn money with photography. Additional tips: Check out these interesting photography gigs that you can offer. Giants like Amazon and eBay provide one of the best platforms for buyers and sellers. In those cases, where you want to make some additional money in your free time, these websites have never let anyone down. We are not talking about creating a brand here but we can still use these websites to sell things that are allowed to. Whether it is a PS3 that you bought at a heavy discount from another website, or used books or just some cool DIY stuff that your friends can create. Or just some cool fancy phone cases that you order from China at a low price and then sell it on Amazon or eBay with a handsome profit, there is always an opportunity if you look into it. Don’t let your knowledge and academic learning just stay with you. Level up your game and use your academics to make money for you by offering you own online tutor services. In this digital era where there are thousands of online businesses, the need for Virtual Assistants (VA) will never get filled. People hire you as a VA to get their certain tasks done because they don’t have time for that. In return, you get paid for your time. Virtual assistants are just like personal assistant but they work remotely. It is one of the best ways to earn money online. As a VA, you can manage a blog/website, create/edit contents, check/respond to email, manage social media, etc. Any particular skill set that you possess will help you get hired as a VA. In some cases, people even train their VA for some days to get the job done. Social Media is a part of our life now. In this day of Facebook, Twitter, YouTube, and Instagram, it is almost impossible to believe any person without any social media profile. If you can level up your game with social media and understand it better than a normal social media users, then there won’t be any difficulty for you to be a social media manager for some of your clients. As a social media manager, your job is to manage their profiles and take it to their potential businesses. Every day thousands of products are introduced into the market. Those products are the results of hard works for days, weeks, months and years. But before they hit the market, those products get tested extensively by different peoples. Apply yourself as a product tester and start getting paid for testing. Data entry is a boring work. But the data needs to be organized and well managed and this is the reason why data entry will still be in demand. Data entry has different categories of work and this is the perfect job for beginners. This can be the simplest form of online work you will ever get as a student. Below are the few sites that you can apply for data entry works. You can make money by watching videos and then creating captions for the audio. So a captioner creates the video captions and gets paid for this. Those videos can be anything from a movie, TV serials, documentary or tutorials. Those captions can be in different languages. The job is to listen to the audio of the video and then create captions based on the audio. While you can sell on Amazon and eBay, another better option is to start your own online store where you will have much control. Technology like Shopify has made e-commerce easy for everyone. Pay a small monthly fee and upload your products and you are good to go. Shopify is easy to use and there are lots of success stories about Shopify stores already. With transcribing you will be listening to audio and type down what you listen. So this needs a decent word per minute typing speed as well as a good grammar so that you can correctly write down what you hear. These kinds of works also come with flexible hours and workloads. It can be hectic sometimes since you have to re-listen to the audio again and again but it is perfect work for someone with fewer skill sets. Your academics are enough for you to take a survey online. Not extra knowledge needed. Online Survey is one of the simplest and straightforward jobs for college students. The survey companies will pay you for your personal opinions on different topics. Most surveys take place through survey forms or may even go through a telephone. Because all they need to do is give their honest opinion and get paid for that. Companies and businesses looking for reviews and feedback from their consumers generally carry out these kinds of surveys. Though online surveys won’t help you make much money, this is still the simplest job to get started. A resume is one of the most important things when it comes to getting a job. Offer your resume writing service to someone looking for a job. Being a college student it is not difficult for you to find out someone who is going to graduate. Don’t underestimate the power of PowerPoint skills that you developed from your computer classes because you can always earn some extra cash by creating presentations and sliders for those who don’t have time for it. Many people do not have the time and skills to create a good presentation slide for their events, this is where you come in. Search Engines are getting smarter day by day while the engineers behind them need the help of real human intervention to test out the timely updates they provide with Search Engines. Since search engines like Google, Yahoo, and Bing are targeted for humans, those companies need people to test out their search engines performance and give them a clear idea about their accuracy, usefulness, and quality. You need to conduct research, evaluation, and feedback on search engine results. This way you can make some money as a search engine evaluator. Freelance writing has already been mentioned above, but writing an eBook is another way you can make money through writing. Writing an eBook for Kindle is not hard if you can write well. Publishing a Kindle book takes just a few minutes. If you believe that you can write on some topic which people are willing to read and pay as well then you should get started ASAP. As a student, you are not just limited to writing and photography freelancing jobs. You will be amazed to see that there are a lot of different work opportunities for the right skill set. Take some time to browse through the sites below and you will be amazed to see what other freelancing opportunities lie in front of you. Earning some money online as a college student isn’t as hard as many people think and talk about it. If you have flexible working hours during your classes you might need to think to give any one of the above jobs a shot. Don’t expect to make a lot of money all of sudden because with the nature of these jobs, it is less likely to happen but you will still be happy with what you can make during your free hours. You shouldn’t be worried if you don’t have any skills at the moment. The skills needed for these kinds of works can be easily adapted in a short time. Previous Post How to quickly index your blog post without using Google Search Console?